These Plastic roller that we offer are commonly manufactured from high impact rigid PVC tube, solid high density polyethylene & ultra high molecular weight plastic. Customers can avail these rollers from us in variegated specifications at incomparable prices. In order to cater the variegated demands of our clients, we are offering an excellent quality range of Plastic Roller. The selection of roller type and coating material depend upon the application and the web material. 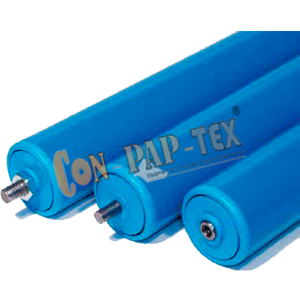 We manufacture wide range of plastic rollers for varied applications. – Free running capability to convey very lightweight loads. – Low cost alternative to stainless steel tube rollers.